What Is a Flatbed Trailer Used For? Most commonly, flatbed trailers are used for freight shipping, but their versatility is what has made them the most common trailer for many shipping companies. These versatile trailers can carry almost any type of cargo. 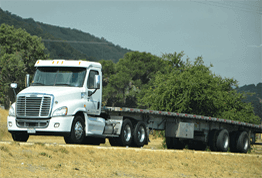 Tractor Transport uses flatbeds for a wide variety of shipping jobs, including small to medium sized tractors, and other assorted farming equipment. 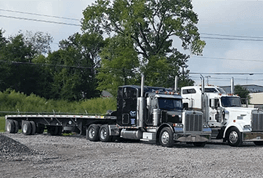 We specialize in heavier equipment, but our fleet of flatbeds still represents a reliable, state-of-the-art method of dependably moving our clients' freight, smaller tractors, equipment, and other important items. Call Tractor Transport today and learn more about how we can put our most versatile trailers to work for you. 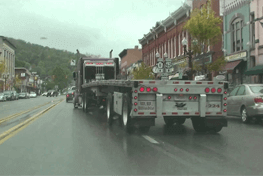 How Does Tractor Transport Handle Flatbed Shipping? Since they're such versatile transport carriers, we use flatbed trailers for a variety of shipping tasks that provide important logistical solutions for customers. Not only has our experience made us experts in every conceivable shipping route, we offer unmatched conveniences to our customers; things like free cancellations, constant customer service, and fixed, convenient prices that won't break the bank. Contact our expert customer support team about our policies and rates, and get some information about how you can get Tractor Transport working for you as soon as you need us! 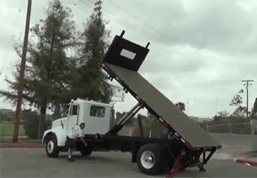 How Are Flatbeds Used in LTL Shipping? Less-than-load (LTL) shipping is what we call putting multiple customers' cargo on a single trailer at one time. In short, flatbeds are used for this method of shipping fairly often due to their versatile nature. In LTL shipping, we combine loads to save money and pass those savings on to our customers.